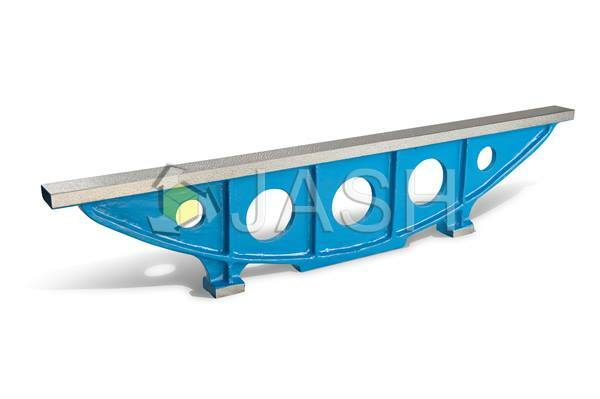 Jash Cast Iron Straight Edges are widely used for setting up and leveling machinery and for checking and spotting bearing surfaces during hand-scraping operations. 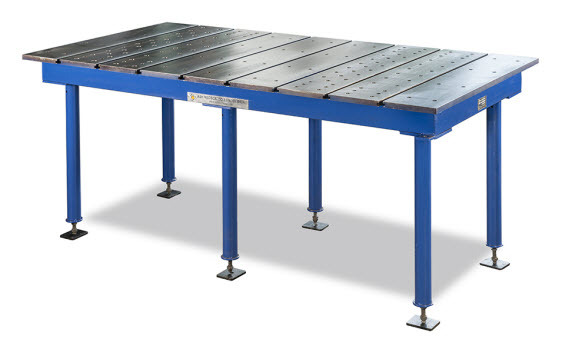 Properly supported, they may be used with various indicating devices to check surface flatness of large machined areas like Surface Table. Machine Tables and Beds, Machine ways etc. Offered in two types viz Bow shaped or Camel Back Type and I-Section or Parallel Type, in standard sizes generally as per IS: 5268. Bow shaped Straight Edges are provided with pads on their bow for supporting Engineer's level. Made from close grained plain cast iron conforming to Grade FG; 220 of IS: 210 – 1978. Casting stress – relieved to remove internal stresses. Offered in three Grades of accuracies viz Grades 0, 1 and 2, standard sizes, dimensions, flatness and parallelism tolerances are as stated in table. Straightness accuracy checked by Electronic level, computer print out of the contour of working surfaces is furnished. Offered in hand scraped surface finish for Grades 0 and 1, Smooth machined / ground / scraped surface finish for Grade 2. For straight edges up to and including 4000 mm length – 50 microns for Grades 0 and 1 and 100 microns for Grade 2. For Grade 0 and 1 : Not exceeding 30 microns per 300 mm and 60 microns over the whole length. Two numbers Grade 1 parallel straight edges of the same length can be offered as matched pair, at extra cost, ensuring equality of overall depth within the tolerance on parallelism for the respective length of straight edge. Actual dimensions of straight edges may be even more than those stated in the table below. No two straight edges of the same length will have any of the dimensions exactly the same, except in case of two numbers parallel straight edge made specially as a matched pair wherein only the overall depth shall be equal within the tolerance on parallelism for the respective length. 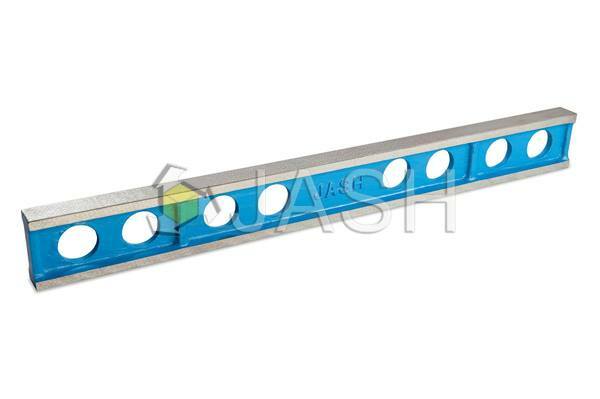 Note: SPECIAL SIZES OFFERED ON REQUEST: 600, 750, 1200, 1500, 1800, 2500 and 3600 mm long.